Many adults over the age of 50 have mild, moderate, or severe problems with their vision. If you fit this profile, you may be at increased risk of memory problems as you grow older. So if at all possible, have an eye doctor examine your eyes soon. A University of Michigan study published in the American Journal of Epidemiology found that older individuals with vision difficulties are much more likely to develop Alzheimer's dementia. Having their vision corrected lowered their risk dramatically. Participants with vision impairment who visited an eye doctor were 64% less likely to contract dementia compared to those who did not seek treatment for their vision problems. Vision difficulties can be a symptom of already-existing dementia, but studies like the one above indicate that vision impairment may also be a predictor of memory decline. In other words, vision issues - which often are reversible - may in fact contribute to the development of dementia. Most vision loss is preventable. Wouldn't it be tragic for someone to develop dementia who otherwise wouldn't have if they had their vision corrected? And yet this may be quite common among seniors who do not receive the vision treatment they need. Decline in vision leads to decline in memory. A study published in the Journal of the American Geriatrics Society found that poor vision leads to both physical decline and mental decline. The researchers concluded that "when older adult's vision declines sharply, their participation in physical and mental activities also declines." Impaired vision limits a person's activities. 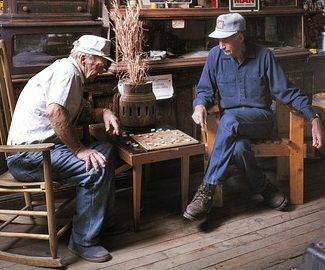 In the past, the individual may have regularly engaged in brain-stimulating activities such as physical exercise, social activities, and mental challenges like solving crossword puzzles or playing board games like checkers. When a senior adult can no longer see well enough to perform activities that engage their brain and keep it active, the brain is less stimulated, and the risk of dementia increases. The most helpful vision treatments for lowering dementia risk were cataract surgery as well as correction of glaucoma, retina problems, and other eye disorders, according to the University of Michigan study. Perhaps surprisingly, many older individuals do not seek treatment for their vision problems even if they realize they probably should. This can be a serious mistake. "Visual problems can have serious consequences and are very common among the elderly, but many of them are not seeking treatment," said Dr. Mary A.M. Rogers, lead author of the University of Michigan study. Cost is often the barrier. The person might be on a fixed income or have inadequate vision insurance. These people may not be aware there are sources of free vision treatment for low-income elderly. One example for eligible seniors age 65 and older is EyeCare America. This public service organization of 6,000 volunteer ophthalmologists has been offering free eye care for over 30 years. Please see their website for details of the program. Don't just learn to live with your vision problems. Do something about them! Otherwise, you might pay a heavy price later in terms of cognitive decline. Consider older relatives as well. Sometimes the elderly don't have the resources or ability to have their vision checked and corrected. Explain to your senior relatives the importance of fixing their vision problems. Besides improving the quality of their day-to-day lives, help them understand that corrected vision can also preserve brain health and help fend off serious memory problems including Alzheimer's dementia. Clear vision and a clear mind. The two are more closely linked than you may have realized. 1. American Geriatrics Society. 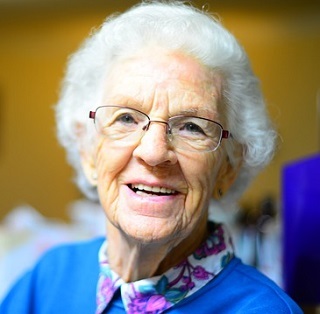 "For older adults, poor vision can lead to physical decline and cognitive problems." ScienceDaily. ScienceDaily, 21 December 2016. www.sciencedaily.com/releases/2016/12/161221091424.htm. 4. University of Michigan Health System. "Untreated poor vision in elderly linked to dementia study shows." ScienceDaily. ScienceDaily, 20 February 2010. www.sciencedaily.com/releases/2010/02/100218102443.htm.